While people may be making New Year’s resolutions, choosing words and intentions for 2015, starting money challenge or beginning fitness journeys, I tend to begin each year excited for a fresh new Reading Challenge. Does that make me a big nerd? I’m okay with that. I love to read and I love a good challenge. The internet is full of reading lists that you can attempt, but I’m going to challenge you to complete this one. Join the forum and track your progress with the rest of us. Every time you finish a book, let us know. Need an idea for a book? See what everyone else is reading! There are 26 books to complete this challenge – that’s one every two weeks. 1. A book published the year you were born. 2. A book of fiction. 3. A book of nonfiction. 4. A book of short stories. 5. A chapter book read to your child/ren and/or fur/feather/fin babies. 6. A book of short stories. 8. A Young Adult book. 9. A book written by a celebrity (not a celebrity for their writing!). 10. A book by someone who is deceased. 11. A book with more than 500 words. 15. A book by a Canadian author. 16. A book by a female author. 17. A book about a mother. 18. A book in a genre you would never choose to read. 19. The second book in a series. 20. A book your partner/friend recommends. 21. A book your boss recommends. 22. A book with publications in multiple languages (more than just English and French). 23. A book where a character gives birth. 24. A book that involves sports. 25. 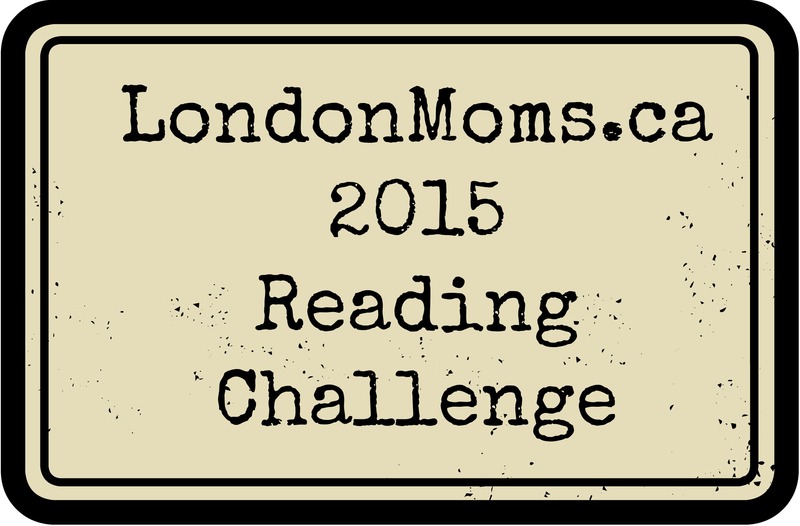 A book from another LondonMoms booklist. 26. Your favourite children’s book. If you are one of the families that subscribe to the gift guide of “Something you want, something you need, something to wear, and something to read” then this is for you! And even if you’re not, but you are scrambling to get a last minute gift for a child on your list, may I suggest books? While Robert Munsch, Dr. Seuss, and Sandra Boynton are always going to be around, sometimes it’s nice to try something new. We are a big family of readers and wannabe readers here and these are our picks for best picture books on our shelves. These books are also available at the London Public Library in case you are done your shopping and just want something new to read! If you haven’t yet stumbled upon the genius of Mo Willems, you absolutely must start. Elephant and Piggie are the new age of beginner readers. They are smart, funny, and readable for all ages. They are written comic-book-style and will have all kids laughing, and you, too! The latest one, Waiting is Hard, was just released in November. Like I said, we are big fans of Mo Willems in this house. The Pigeon series begins with Don’t Let the Pigeon Drive the Bus and ends with The Pigeon Needs a Bath, new this year. My favourite is Don’t Let the Pigeon Stay Up Late which has the pigeon echoing many of my own kids bedtime antics. There are board book versions for younger children as well. David is another character in a series of books, from board books up to picture books. We love David’s wild antics and naughty behaviour and also how he always figures things out in the end. Lately, we’ve been reading It’s Christmas, David! over and over, but the original will always be my favourite. This book has gotten a lot of attention this year and for good reason. My children laughed so hard they became silent laughers and all had hiccups by the end. Break out the silly voices and embrace the directions in the book. Be prepared to read it over and over. And over and over and over. For a book with no pictures, this one is captivating and entertaining. To choose one book by Oliver Jeffers would be like choosing my favourite crayon. His picture books are thought provoking and entertaining. My sons favourite is Stuck and my unique little daughter loves The Hueys: The New Jumper. His artwork is memorable and bright. 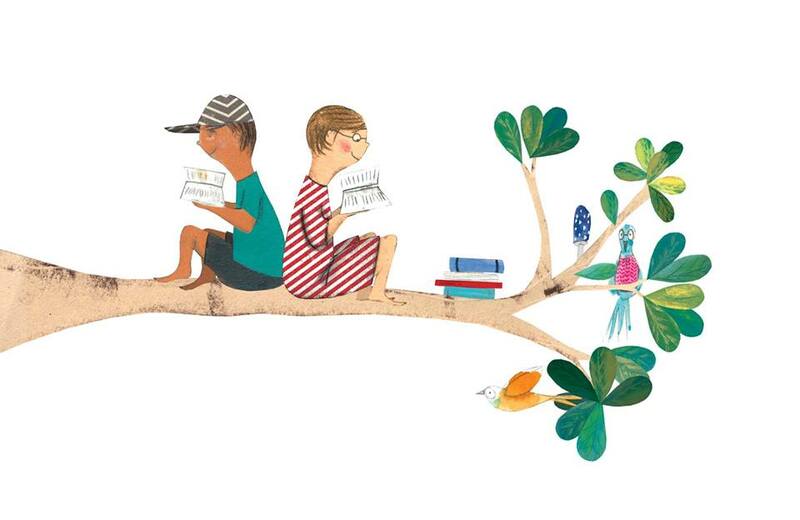 Like Oliver Jeffers, Peter H. Reynolds pairs intriguing stories with simple, yet beautiful artwork. He taps into the heart of a child with autism in I’m Here and The Dot provokes creativity in the most stubbornly uncreative child. His artwork can also be found in the mother-daughter book Someday (which will bring on all the feels, you’ve been warned). A young girl embracing changing seasons and a changing family. As a mother of two girls, this one was an instant fave for me and my daughters. Oh, Sparky. I’m not even sure what it is about this book that is so magical – whether it’s the laziest pet in the whole world or the optimism of the charming little girl who just wants a friend. Either way, my children all want a sloth for a pet and I kind of wish we had a tree to let him sleep in. I wish there had been a camera on our faces the first time we read this book. The ending is… not something you usually find in a kids book. Do not skip ahead or spoil it, just read it with your kids and watch their faces as you all are enlightened. My kids were shocked and I burst out laughing in disbelief. His follow up book, This is Not My Hat, is equally delightful. If dark humour is your thing, get these books. Jon Klassen also illustrated another award winning favourite, Extra Yarn, written by Mac Barnett. Remember that a gift is not expected. Not all children give their teachers gifts, no matter what Pinterest tells you. If this is going to cause you stress, step back and relax. Your child isn’t going to get a lump of coal from the teacher if you don’t send a gift to school. It’s appreciated, for sure, but not required. Teachers unanimously say that a personalized card is always a treasured gift. Have your child make the card if they enjoy that sort of thing. Spend a few minutes to write a few lines about how much you appreciate the teacher and the work they do with your child and you are all set. My one child has seen a number of therapists over the years and while we love to recognize their amazing work and how much we appreciate them over the holiday season, they aren’t allowed to accept gifts. As an alternative to giving them something tangible, we have always chosen to give a donation somewhere in their name. 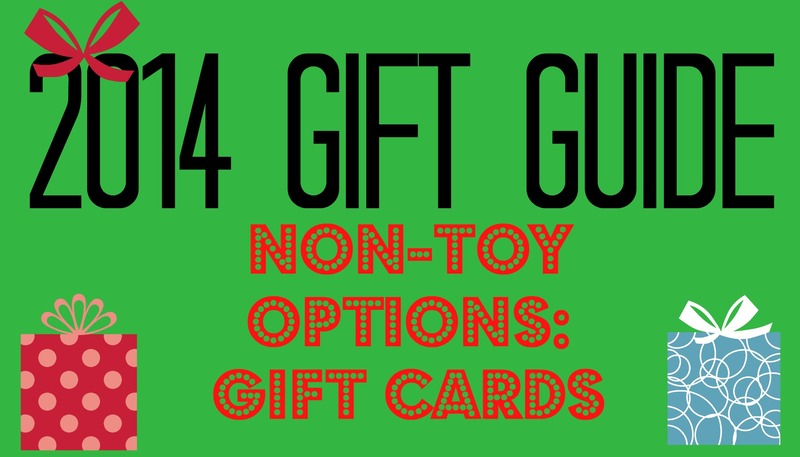 For some ideas, see our Gift Guide on donations. This is also a great option for group gifts – daycare, preschool or kindergarten classrooms with multiple teachers/ECE’s, school staff that you want to recognize (that secretarial team that makes the school amazing, for example). Note that at this late date, many places will not be able to mail you a card before school is out, so opt for a print out or email version. Many teachers stock their classroom with their own books. 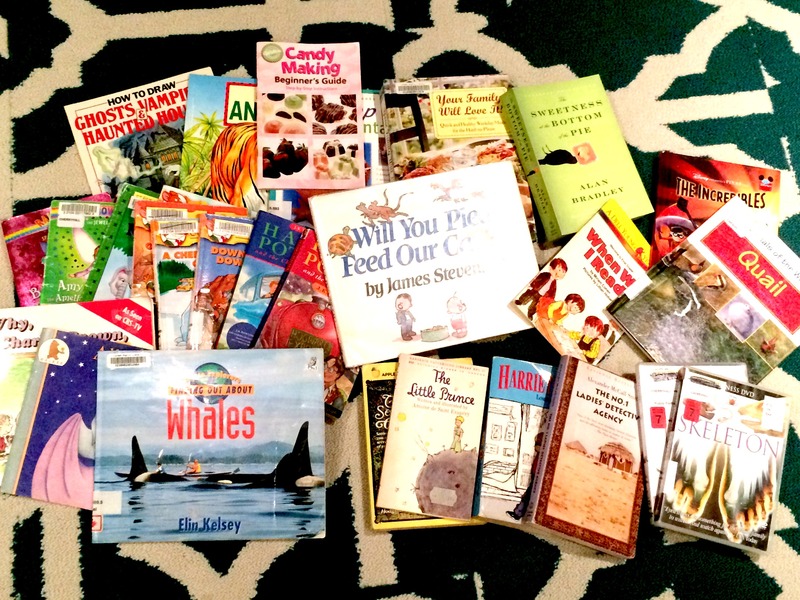 Donate a book or two to your child’s classroom or teacher’s book shelf. Have your child pick their favourite story from home or something new by their favourite author. A common default is going to be the Tim’s card, but find out if they prefer Starbuck’s instead or if they are that rare breed that doesn’t like coffee or tea at all. Show your child a cup from either place and ask them if they’ve seen it in their teacher’s hand. Chances are they can identify which their teacher prefers. Indigo cards are also a great idea for restocking/updating the classrooms book shelves or letting them pick a holiday read. LCBO is also a popular choice, though you might want to make sure that this will be a welcome gift. A favourite lunch place, somewhere they can buy school supplies or any other place you’ve heard them mention are some other ideas. You’ll have to act now, but all it takes is one parent slipping a letter into each child’s backpack. Invite interested parents to send $5 or $10 per teacher to school in an envelope addressed to your child. Collect the cash, buy a larger gift, sign the card from all the kids whose parents donated money. I guarantee a lot of the parents who receive that letter will happily let you do the shopping on their behalf. 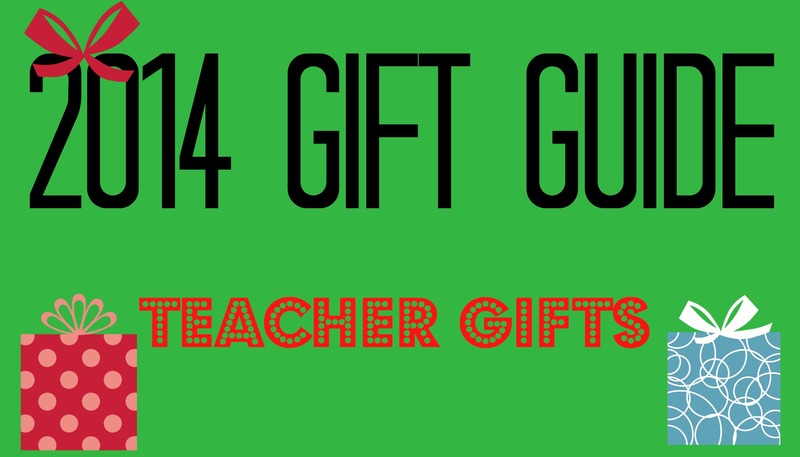 Get a gift card for a spa, a nice restaurant or anywhere else where your teacher might want to spend a bit more money over the holidays. Does your child constantly run out of pencil crayons and glue? Odds are good that his/her teacher does as well. Stock them up with markers, erasers, pencils, glue sticks, and whatever else they might need. For bonus points – buy them a pack of personalized labels (just check the shipping dates to make sure they’ll get here on time!). Just to reiterate – gifts are appreciated, but not mandatory. Really. And while teachers will be appreciative of whatever you do give them, first ask yourself whether they would want 20 of whatever you plan on giving them. Twenty notes of appreciation? Yes. Twenty Christmas-scented candles? A bit overpowering. Twenty bedazzled photo frames? Eek. At Christmas time, people become very divided on the issue of gift cards. One group of people love them for their quickness and ease of purchase. Those same people probably love to receive them as well and shop happily for themselves, selecting the exact item that they want. The other group of people see it as completely impersonal, the lack of thought required defeating the purpose of giving a gift. A Tim’s GC is a quick and easy way to say thank you to an adult, but for a child this can be a much bigger adventure. Something as simple as a $5 card allows for two outings for a spontaneous treat. Hot chocolate and a donut? You’ll have to look hard for a kid who wouldn’t want that, from toddler to teenager. A coffee date with your kid is a great opportunity for a little one-on-one time, allowing them to pay makes them feel grown up and special. Tuck one of these in their stocking and schedule an hour over the Christmas holidays where the two of you can get a cup of cheer. Maybe they’ll even splurge on your coffee. Children love hanging out at the library, which is why many book stores have adopted a similar ‘hands on’ philosophy in the kids section. Touch. Read. Look. Play. And Mom, break out that wallet and pay. Or not! A book store is another one of my favourite places to let my children take time and explore. New authors, new stories, new doors opening to their imagination. I have a hard time saying no to a new book, so a GC is a win-win for all of us. A kid in a candy store has nothing on one of my kids in a book store, and allowing them to make their own choices is a great way to encourage that love of reading. It is the last week of November now, which means Christmas is about to hit us full force and there won’t be anymore excuses about why it should be holding out. If you are Christian, the season of Advent begins in one week, and if you’re not you are probably still planning on counting down the days of December in some memorable way. The countdown is not only a great way to celebrate the season of Christmas, it also gives a visual to young children who do not yet understand the concept of time or calendars yet. Instead of answering “Is it Christmas yet? ?” twenty-four times in a row, you can just point them to their countdown and remind them that the end equals Christmas. Here are a few ideas on how to countdown the days. The traditional Christian countdown is the wreath with four (or five) candles, one is lit each week until all four (or five) are lit. Your local parish will likely be selling or giving away prayer books or sheets with a reading for each night while you light the wreath. This is a great way to bring the Christmas season back to the birth of Christ. For the very affordable price of $1.50, you can get a chocolate Christmas countdown with windows to open daily until Christmas Day. They can be purchased just about anywhere and for that price and minimal effort on your part, you can keep all of your kids happy by buying one for everyone. I’m separating the cheap chocolate countdowns from the more expensive ones, not only due to price but also taste. The more you pay for your chocolate calendar, the better the chocolate. Everyone from Laura Secord to Lindt puts out a calendar this time of year and the treats inside can be downright luxurious. You may want to save one of these calendars for yourself. We won’t tell. A few companies have realized that not every family wants to have their children starting the day with chocolate and have begun to create countdowns with other things. LEGO, Playmobil, and Kinder Egg (which is the best of both worlds?) are examples of other countdowns you could get for your children. These cost about $20-$40 and will leave your child with a months worth of small toys. If you’re smart, you’ll realize that the bridge between the cheap calendars and the pricey ones can be made by creating your own. This also works better with multiple children. Simply buy a countdown calendar with openings big enough to hold one treat per child/person. The upfront cost can range between $10-50 depending on how fancy you want it to look, then a few bags of treats each year will have you all set indefinitely. For the truly ambitious, have a look at Pinterest for inspiration. People have used everything from muffin tins to plastic shoe holders to make their own countdowns. 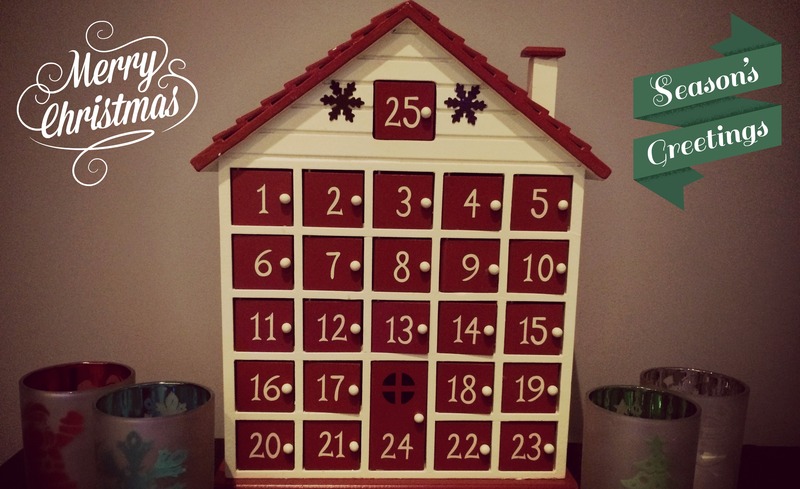 If you’ve invested the money in a countdown with doors or you have created one of your very own, another idea is to ditch the treats and put Christmas activities in the doors. Activities can range from doing daily Random Acts of Kindness/Christmas, driving to see the lights, watching a Christmas movie, singing a carol, baking cookies, buying a gift for an Angel tree, or any other activity that will get everyone cheering Ho Ho Ho! Just make sure you have your calendar handy while you think up things to do – nothing worse than having to tell the kids that today’s activity is not going to happen because staying up late for a movie just doesn’t happen on a Tuesday when there are gymnastics lessons to get to. Three kids in, we have a lot of Christmas books. Thirty-seven to be exact. The reason I know this is because one of our traditions is to wrap them all up and open one per day for bed time stories. If you don’t have that many Christmas books stocked up, you can still do this! Just pick 24 of your kids favourite books and wrap them up, or get to the library and wrap up some of their stories (just make sure they’re unwrapped and read before your three weeks are up!). The fun in this activity is just in opening the present and having that time together every night. If you want to avoid an abundance of both gifts and treats before the big day, you can also do the standard 25 day countdown. Crossing off days on a calendar, adding or removing items from a Christmas scene, Christmas magnets on your fridge, chalkboard countdowns, homemade, store bought, the options are endless. Oh, yes, I did bring up that controversial little creature. If you hate the whole idea, fair enough, skip to the next idea. For the rest of us, the good old elf can bring a lot of fun to the days before Christmas. S/he can simply show up and move around your house every night or s/he can actually cause fun or mayhem while the kids are asleep, it all comes down to how creative and motivated your elf is. Pinterest is bursting with Elf ideas for you newbies who haven’t had their Facebook feeds clogged with it for the last five years. If the Elf isn’t your style, check out Dinovember and let your imagination run wild. If you or your significant other really want to amp up the holiday countdown, create a grown up version! Beer-a-Day or Wine-a-Day creations are all over the internet. I’m not sure I’d make it through a month with that much wine, but I’d definitely have enough to get me through to 2015! Other retailers have come up with adult countdowns that won’t induce such a hangover, like David’s Tea with their Tea-a-Day countdown. Head to one of the coffee stores that sell the individual K-cups and create your own coffee countdown. Really, the options here are endless. Think about what you would love 25 days of and treat yourself! This weekend is the annual Samko & Miko Toy and Book Warehouse Sale at the Western Fair District. This sale is the perfect time to start your holiday gift shopping for any little people on your list. With a huge selection of all the latest and greatest brand name toys, you will be sure to find something for all of your toy-loving children! Admission is FREE. Western Fair District, Progress Building. Lots of parking in the Western Fair District parking lot. Toys and books from the biggest brands like Mattel, Vtech, Playskool, Crayola, Fisher Price, Step 2, Mega Bloks, Hasbro and so many more! Find your children’s favourite toys and characters like Monster High, Hot Wheels, Disney Princesses, Littlest Pet Shop, Skylander, Angry Birds, Thomas and Friends, Dr. Seuss, Jake and the Neverland Pirates, as well as thousands of books. It’s no secret that I am enormous fan of the entire Christmas season. From the time I break out the scarves, until the last twinkling light is packed away, I am a happy woman. However, if there is one thing that can put a damper on my hohoho, it is the accumulation of Too Much Stuff. October becomes my favourite time of year to do a thorough evacuation of our excess possessions and send off what I can to other homes. Combine this urge to purge with a true love for our phenomenal public library system here in London and you get The Library Store. The Library Store takes donations of used books and other materials to resell or add to the library’s borrowing stock. While any library is generally able to accept small donations, the Central Branch is equipped to receive your big annual clean out. Any gently used and relevant adult, teen or children’s books are happily accepted (time to clear out those board books! ), special interest books (like that Atkins cookbook you used once or the knitting book someone swore you would love), recent popular magazines (thank you QSP fundraiser) and any CD’s or DVD’s that your children have not managed to scratch. They will even take your completely useless collection of VHS movies,so get rid of them! They don’t want all of your junk though – please find another home for your old highlighted textbooks, your 1985 encyclopedia’s and your child’s book with the questionable stain. The Library Store has a permanent location at the downtown Central Branch in Citi Plaza. It is a fantastic used book store where you can purchase overstocked or donated items such as novels, children’s books, magazines, CD’s and DVD’s – not only is it a great place to donate your previously loved items, but it also makes a great Christmas-on-a-Budget shop, especially if you still have a functioning VHS player.